So, you think you are ready to order from Beyond Custom Guitars? How does it work? There are three ways. By far the fastest and cheapest way to score a guitar or body from Beyond Custom is to choose something from the selection we have “in stock” in the store. The “In Stock” pieces are cool and often unique or one-of-a-kind guitars and bodies that the artists cook up out of sheer passion and creativity. Prices are clearly marked, shipping is accurately calculated, and we ship to you within 1-3 days. These items are anyways changing and rarely last long so if you see something you like don’t delay. 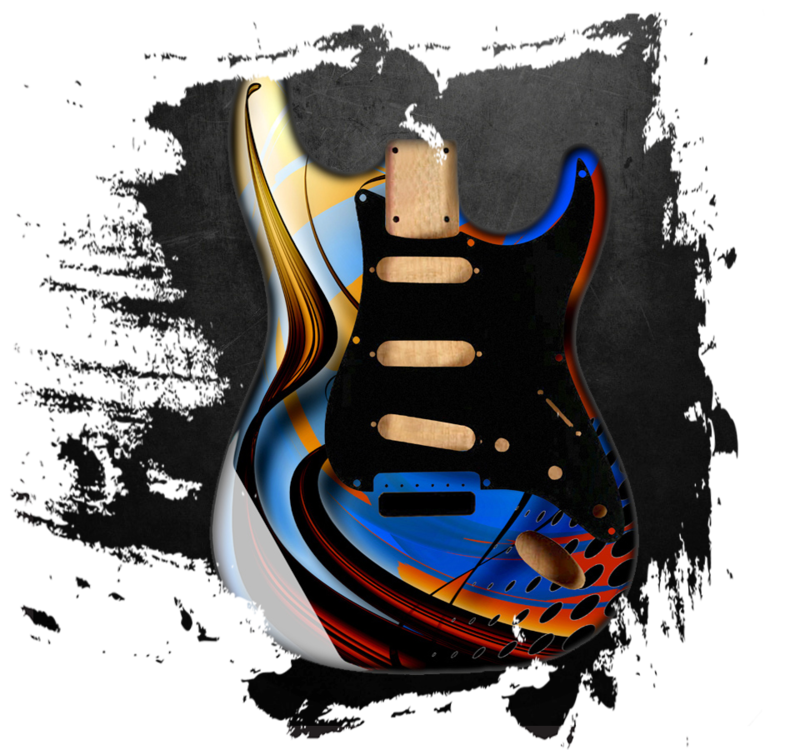 Choose preselected art and finishing options made to order on custom body styles routed to your specs. You can purchase a new guitar body with a finishing design or custom color you love from one of our new and ever-growing collections. From the fanciest digital art, to the most amazing ChromaFlux design, to the coolest solid colors, we have finishing options that appeal to just about any taste and desire. Each collection has its own page so you can learn more about how they are created, and each individual product page lets you see different bodies, pick-up and bridge configurations available. These bodies are custom built to your specs and usually take 6-8 weeks to complete once an order is placed. 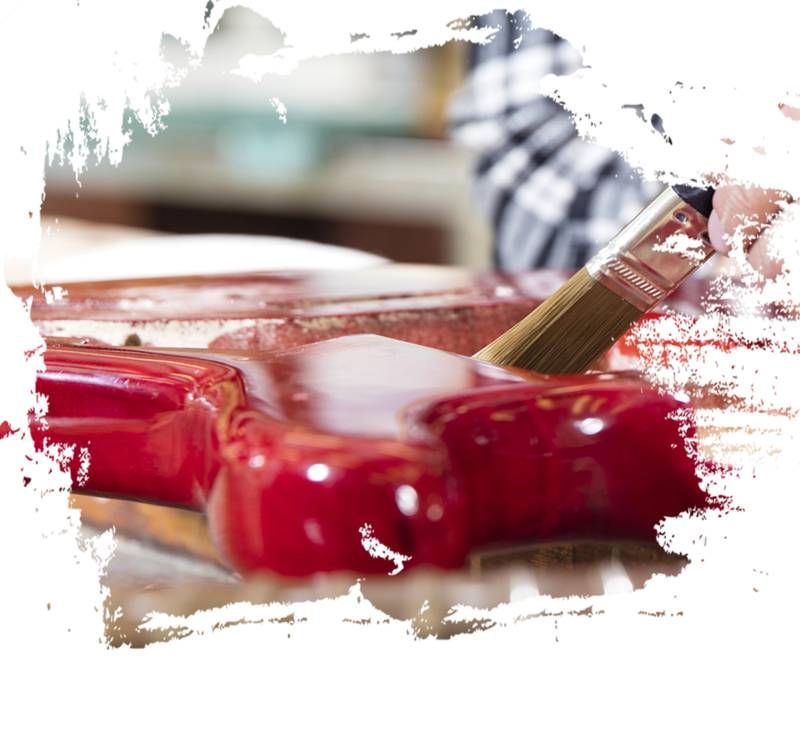 Whether you are repairing a guitar or customizing one, we are always willing to discuss your finishing preferences or artistic ideas and provide an end result that looks amazing. If you have a specific design in mind or need a private or corporate design created, commissioning us is your choice. Based on the information you offer up through the commissioned works page, a price is calculated, offered, accepted, and our work begins. If you love something in the collections, but don’t see the body or routing options you want or want a particular art work on your existing guitar, chances are good we will be able to make it happen. Project turn around time on commissioned works are usually 4-6 weeks from the time we receive the guitar or body. Once you join us by building an account and your order is placed, you will have access to our artist portal. 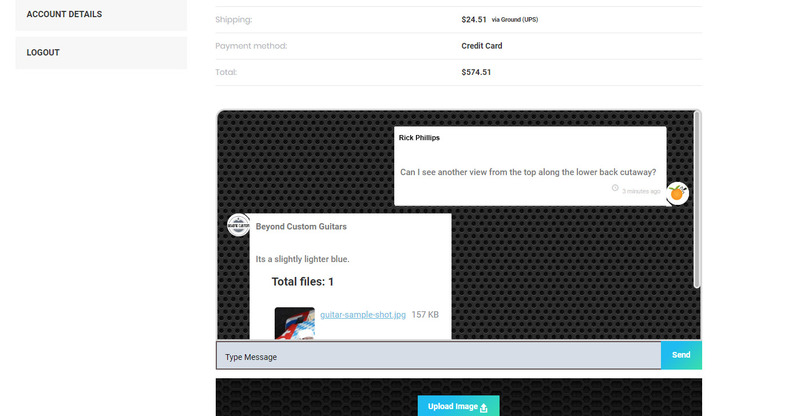 For Customers ordering built to order bodies or commissioned work of your guitar, you will be updated every step of the creation process and have quick access to collaborate with the artists through the “My Orders” section of your member account which then acts as a communication channel between you and Beyond Custom Guitars. 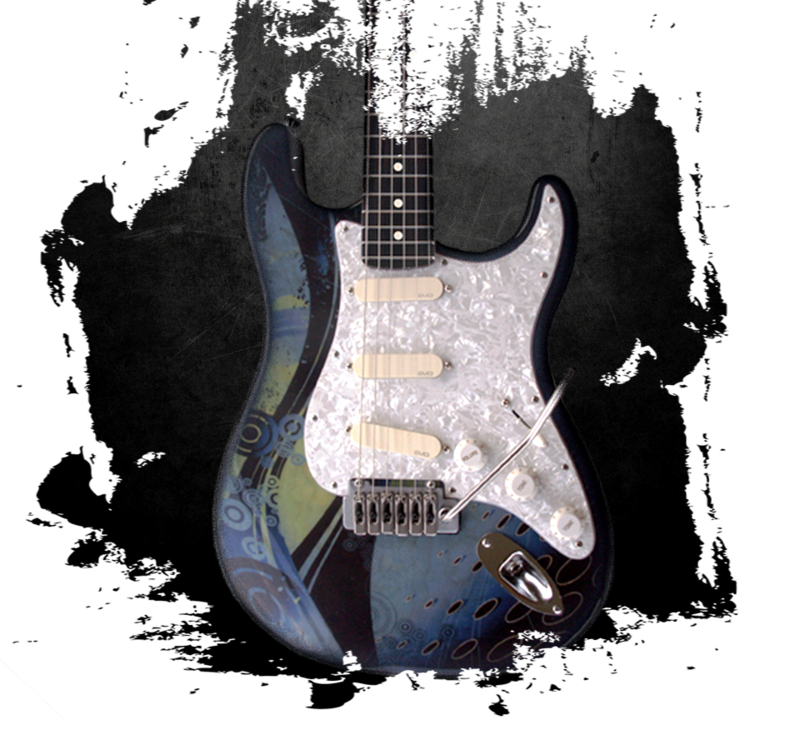 You can check for updates, ask questions, offer up ideas, and the artists can give time estimates, offer options, provide mock-ups for custom work, ask for a tracking number if you are providing the guitar, and share the painting process with you as your guitar or body goes through its many stages. It usually averages 4 to 8 weeks from start to finish, and we want you to be in the loop and stay involved in the process of creating your awesome new guitar. Working with Beyond Custom Guitars isn’t just placing an order, it’s an adventure in creativity and you get to be on the team!